We are independent professionals with a full service office. 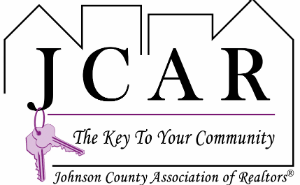 The Johnson County Association of REALTORS®, Inc. shall support all members and unite those engaged in the real estate industry to achieve superior professional and ethical standards; to increase the professional image of REALTORS® within our community; and to help members succeed by providing support and resources. Our Vision is to further the interests in home and other real property ownership in all segments of our community. The Calahan name has been an established name in the business community for over 5 decades. 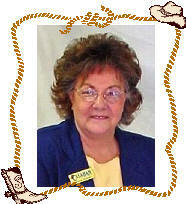 Glenna Calahan, Owner/Broker, has been in the real estate industry for over 32 years. When you use Calahan Real Estate, you can expect the service you deserve. The honesty and integrity given by the agents at Calahan Real Estate represents their efforts to make you feel at home discussing your real estate needs. We at Calahan Real Estate will go that extra mile for you. We want your business. We want to serve you, by addressing your needs in an atmosphere that is professional. But at the same time, we want to provide you with the comfort of knowing you're not just a number with us, you are part of our Real Estate Family! We are personalized not franchised! Glenna is a longtime resident of Johnson County and is a member of the Keene Seventh-day Adventist Church. She has 4 children, 18 grandchildren and many great-grandchildren. Glenna serves on several committees with the Johnson County Association of REALTORS® and has received many honors including, REALTOR® of the Year. Glenna has over 32 years experience in all phases of the real estate industry with plenty of satisfied customers. She takes pride in her professional and personalized service for people in the process of selling and buying their property. From first time home buyers to seasoned sellers and buyers, Glenna will take you step by step through the real estate process. Call Glenna today for your personalized real estate consultation! 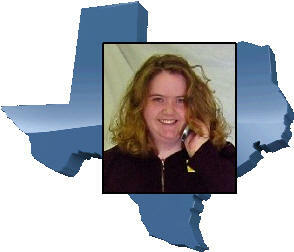 Rebecca Allgood is a native Texan and was born and raised in Johnson County. She attends the Adventist schools in Keene. She is a member of the Cleburne First Seventh-day Adventist Church. She has been a REALTOR® for over 10 years and serves on several committees with the Johnson County Association of REALTORS® (JCAR) and is currently serving as a director. Rebecca enjoys meeting new people and working with buyers and sellers to achieve their real estate goals. If you are thinking of selling your current home or wanting to buy a home, give Rebecca a call and let her experience and knowledge work for you! Rebecca is there for the most important move of all…YOURS! When you think real estate, CHOOSE Rebecca Allgood to be your Real Estate Agent! Licensed real estate agents and brokers in Texas must follow state laws. 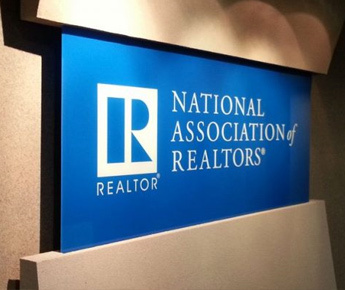 Agents and brokers who join the Texas Association of REALTORS® also pledge to follow a higher set of standards—the REALTOR® Code of Ethics. We have compiled a list of frequently asked questions from our clients and we thought we would pass those answers on to you here. The list is not complete yet but will continue to grow over the next few weeks. Thank you for visiting our website. The buyer's agent solely works on behalf of the buyer and their loyalties are to the buyer. The agent negotiates on behalf of and acts as an advocate for the buyer. All adverse material facts concerning the buyer's financial ability to meet the terms of the transaction and their intentions toward the property must be disclosed to potential sellers by the agent. The broker and the client sign a written buyer agency agreement which sets forth the duties and obligations of each party. Is my job dependable? My income secure? Is my credit score good? Do I pay my bills on time? Is my debt load low? Few large purchases currently on credit? Is there enough money in my savings for a down payment? Is my income enough to make a monthly payment and miscellaneous repairs? If your answer is "yes" to all these questions, you are probably ready to buy. What is the first thing I must do if I want to buy a home? Talking with a mortgage lender and becoming pre-approved for a loan and establishing what you are able to spend on a home. They will ask many questions and run credit checks to ensure you are able to buy a home. This is a question that requires the input from many factors to get an accurate answer. Talking with a real estate professional can help you to determine what your homes market value is. We can help you find that foreclosed property for you and make bids. We can sell anything listed in the MLS. We have many years of Real Estate experience let us help you today! We can help determine the value of your property! Is it priced right?